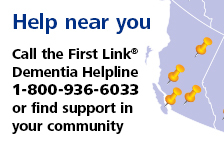 Heads up: an introduction to brain health | Alzheimer Society of B.C. Are you concerned about keeping your brain healthy as you age? This workshop for people with dementia, their caregivers and the general public looks at Alzheimer's disease and how it impacts the brain, the latest research on reducing your risk for Alzheimer's, and everyday tips for improving brain health.